The political terrain is not favorable to women. As the 2015 election steadily approaches, and campaign strategies by various politicians and political offices holders already in full gear, women are being charged to gear up to vie for elective positions in the country. But the odds are stacked against them despite president Goodluck Jonathan’s much touted 35 per cent representation of women in government; and the 1995 Beijing conference-recommended 35 per cent allocation for women in political positions, power and decision. While there has been an improvement in the Mr. Jonathan’s cabinet, with the coordinating Minister of Economy and Finance Minister, Ngozi Okonjo-Iweala, heading the financial administration in Nigeria, this has not been the case in elective positions. In the country’s general election in 2011, female candidates had a meagre eight per cent representation with only 32 women elected at the national parliament. With a culture that is largely patriarchal and wont to throw up men for elective posts, political analyst say there might be a repeat of the trend in the 2015 election. Aisha Osori, the CEO of the Nigerian Women’s Trust Fund, spoke to PREMIUM TIMES, on the challenges a woman faces when she attempts to go into politics. 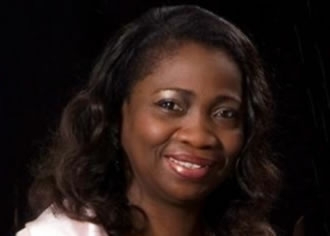 “The fact is that out politics is very expensive and 70 per cent of people that are poor in Nigeria are women,” Ms. Osori said adding that internal party democracy makes it hard for good candidates to succeed. According to Ms. Osori, the violent nature of politics, the cultural and social norm and the general attitude that the woman’s place is at home and not in the public space are all contributing factors to the low representation of women in politics. “The constitution is biased against women,” Ms. Osori said. Do FOLLOW and BOOKMARK the blog.